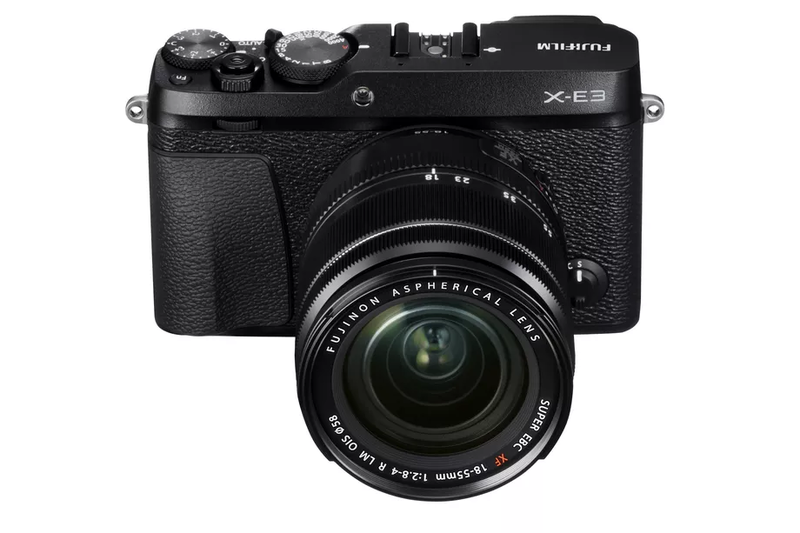 Japanese photography company, Fujifilm has announced the arrival of their new model, the X-E3, which will be a mid-range mirrorless camera. The new model will be a cheaper alternative to rangefinder-style X-Pro2 just like the X-T20 is to the SLR-style X-T2. The X-E3 and the X-T20 are small, cheaper and do not have touchscreen-enabled variant, but have most of the capability of their original models. This also means that the X-E3 will be sporting a 24-megapixel APS-C Trans III sensor, while it also has a X-Processor Pro image signal, and can dial for shutter speed and exposure compensation. The brilliant joystick that enables focus control, which was introduced in the X-Pro2 will also be available in X-E3. The camera can shoot a 4K video, which will be upgraded on the X-Pro2 by the end of 2017 with a firmware update. However, the X-E3 will not feature the hybrid viewfinder, which was available in the X-Pro 2. Instead of the hybrid one, X-E3 will have the electronic viewfinder, but it will not have the unique ability of the X-Pro2’s hybrid version to change to an optical finder complete with live preview and suitable framelines for the lens connected. This is a type of abstract feature, but it’s one of the main reasons why one would purchase the X-Pro2. Moreover, the X-E3 will also shockingly be without any buttons, as Fujifilms intends to lose its traditional D-pad-style control for getting the touchscreen shortcuts. This also means that it will be a little less changeable for advances buyers who want to customize the product according to their comfort. There will no longer be a physical button for changing exposure modes, while the X-E3’s shutter dial will also not be able to change the ISO. The best entry point to the Fujifilm ecosystem will be the X-T20 according to many users. However, the X-E models will be preferred by those users who use the rangerfinder form factor. Moreover, this is also the first real update in four years by the Tokyo-based firm as 2016’s X-E2S was a firmware update in the camera form. 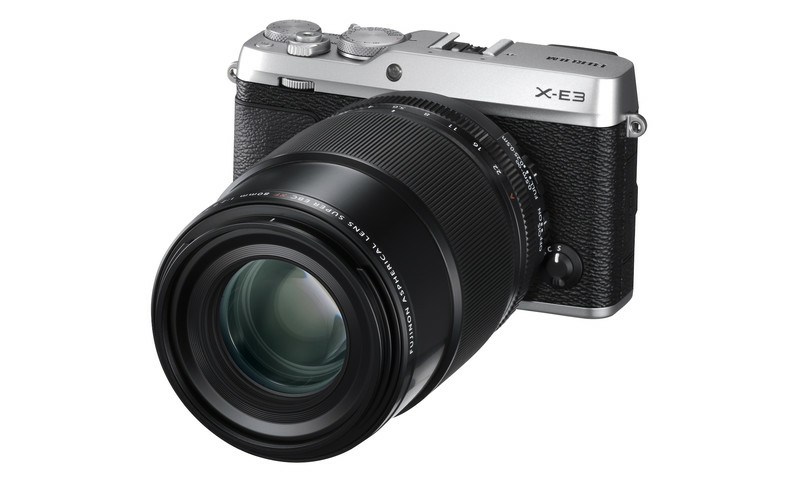 The X-E3 model will be available for sale by the end of this month, and will be available in three versions. The black or silver’s body only will be available for $899.95, while an addition of the brilliant 18-55mm f/2.8-4 lens will get the price to $1299.95. It will also have a version with the 23mm f/2 prime lens, which will be available for $1149.95. The last version is an interesting one, as it provides for the user to get a cheaper X100F that has the ability to change lenses, but without the hybrid viewfinder. Fujifilm is also revealed a new lens today, the XF 80mm f/2.8. It will be the first proper 1:1 macro lens for the X models, as it offers optical image stabilization and is resistant to different weathers. 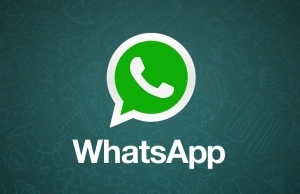 It is due to be released in November, for $1999.95.